After the resounding success of the past three editions, Jio Filmfare Awards Marathi is all set to bring a magnanimous 4th edition for the audience. 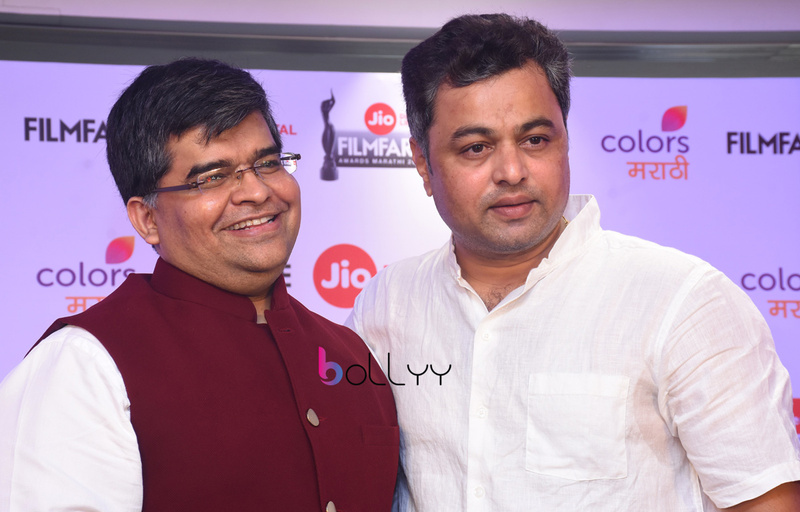 At an event held in Mumbai, Marathi Cinema’s super talented and versatile actor Subodh Bhave and Filmfare Editor Mr. Jitesh Pillai announced the date for the awards night preceded by a lamp lighting ceremony. The Red Carpet will be rolled out on the eve of 27th September 2018 at NESCO Ground, Mumbai. The awards will be televised on a later date on COLORSMarathi, the official broadcast partner. The presence of veteran actors from the Marathi film industry, power packed performances by the artists and varied award categories will surely make the 4th edition of Jio Filmfare Awards Marathi 2018 an extravagant affair for the stars and the viewers alike. Shabir-Sriti and Dheeraj-Shraddha’s dhamakedaar welcome to Bappa!